The Gates agenda has largely become the guiding policy for the Obama administration's Department of Education. Gates-sponsored projects like the Common Core have support of major corporations, the Chamber of Commerce, and Republican leaders like Jeb Bush as well. In this book, that agenda is subjected to a detailed critique. 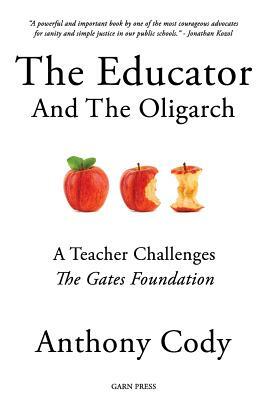 In part one, Cody describes what he calls "the assault on public education" waged by Gates and his foundation. In part two, we find Cody in direct conversation with representatives of the Gates Foundation, describing in detail the flaws in their approach, and offering constructive alternatives. Part three explores the dystopian future Gatesian reforms are bringing into our schools. In the closing section, Cody turns the tables on Gates, holding him and his foundation accountable for the impact they have had on our children and schools. In doing so, he raises disturbing questions about the growing role corporate philanthropies such as the Gates Foundation are playing in public policy, and the dangers we face when market forces are made central to our educational system.